What if it doesn't snow? Consider St Martin de Belleville as a snow-sure ski resort! What if it doesn’t snow…? St Martin de Belleville is situated in the heart of the 3 Valleys’ ski area and just around the corner from the highest ski resort in the world –Val Thorens.. This makes it one of the most snow-sure resorts in Europe! Take advantage of ‘Early Season deals’ and empty slopes for an unforgettable ski holiday! One of our most frequently asked question is: What if it doesn’t snow? Whilst it is hard to answer this question, it helps to look at our previous seasons. During winter 2015/16 we had some tough conditions at the beginning of the season. It snowed heavily early November and then nothing until the end of December. Whilst all ski resorts in Europe struggled, those up at high altitude were of course not hit as hard. St Martin opened its lifts as planned, and although you couldn’t ski all the way into the village St Martin was still connected to the rest of the 3 Valleys. St Martin de Belleville then decided to take action after the 2015/16 season and doubled their amount of snow cannons. Many millions of Euros were spent to make St Martin de Belleville a snow-sure destination within the 3 Valleys. As it turned out, winter 2016/17 wasn’t much better in terms of snow, but the investment St Martin made certainly paid off. Whilst many resorts in Europe struggled again, St Martin de Belleville was able to open its local slopes – even all the way into the village centre. It was a success and skiers were impressed by the snow conditions despite the weather! St Martin de Belleville didn’t stop there and further invested during the summer of 2017! 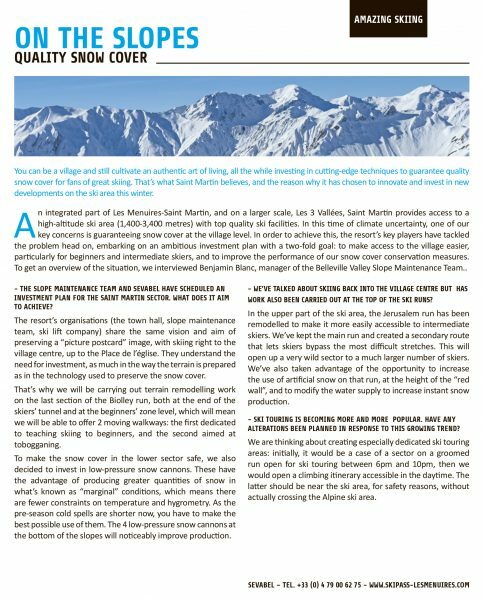 … whilst we cannot foresee the snow conditions during at the beginning of the season, we can definitely say that St Martin de Belleville is one of your best options in Europe – a traditional village in the heart of a huge, high altitude ski area. Having your own transport during the first few weeks of the season is always an advantage so that you have the option to drive up to the free P4 parking just below Val Thorens (in around 20 minutes). This means that if snow is a bit thin on the ground in St Martin, you can still ski Europe’s highest ski resort… whilst staying in a truly beautiful French village. about winter 2017/18, when we had about 2 meters of snow fall BEFORE the season even started! Guests staying in December were rewarded by empty slopes and some of the best powder days of the season. The weather in the mountains cannot be predicted… but this is also what makes the Alps such a special and unique place, so try your luck and you might benefit from exceptional conditions, and at an incredible price! 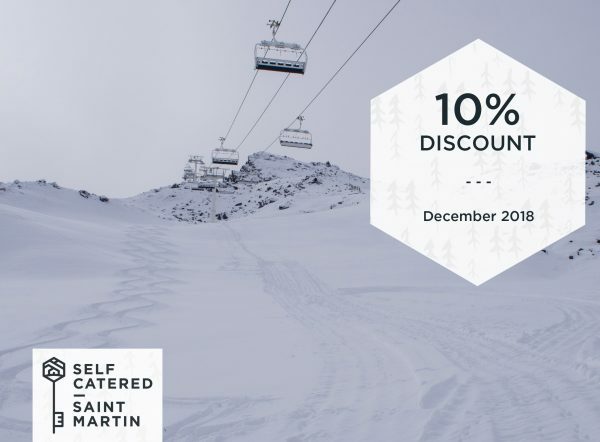 We hope to have tempted you to come skiing during the early season – and to entice you even more, we’d like to offer you a special 10% discount when staying with us during our early December weeks (discount applies on all chalets from 1st / 2nd until 22nd / 23rd of December 2018). Get in touch for more info!